How Do Businesses Grow Using Marketing Analytics? Hint: They rotate through these steps to find better executions and implement them. Owners or their Agencies need every advantage they can get to succeed in the digital game. 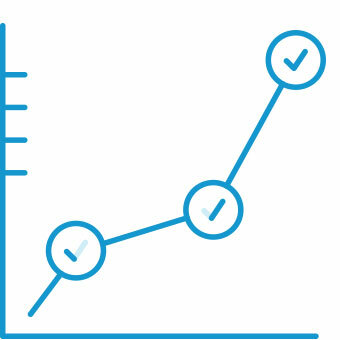 Having a way to track and report on the customer's journey to purchase is one such advantage. Getting that data, and ensuring it's accurate, involves a complex dance of data collection tools. 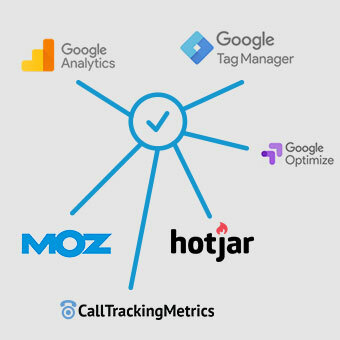 Managing the tracking tags from each of those tools, and the flow of that data to Analytics, is a critical first step. By continuously updating analytics for new campaigns or website changes you can get the insights you need to make informed decisions. Analytics technology allows for the tracking of consumers to and from your company’s site, teaching you what is getting them to your site, how they are interacting with your content and what actions they are taking. Data analytics is the science of extracting patterns, trends, and actionable information from large sets of data. It involves making sense of data before acting on it. When it's accurate, companies can use data to improve their promotional efforts and operations. Slicing and dicing the data to extract the insights is your competitive advantage. It's hard to find a better way to earn more business from marketing efforts than conversion rate optimization (CRO). 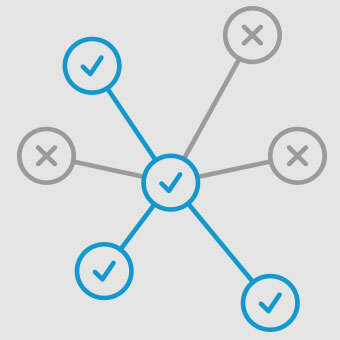 Optimizing focuses on the traffic you already invested in getting. CRO lowers your customer acquisition costs by getting more value from the visitors and users you already have. By optimizing their conversion rate you can increase revenue per visitor, acquire more customers, and grow your business at a lower cost per customer. CRO drives results because it’s constantly working to find the best possible execution. Sometimes you just need to double check the facts, decide between two options, or understand your data a bit better. Whatever your question, we're happy to consult in small sessions. When your next improvement is complicated or time consuming you can hire the Lab to define, scope and manage the project. We'll take care of the details so you can stay focused on your customers. Make MML staff part of your team with an ongoing support program to run projects and the myriad of small recurring tasks. Get support across all areas, or sure up specific gaps in your in-house skills.